Here are some clips of my favorite stories. Enjoy! More on my YouTube channel and Facebook page. 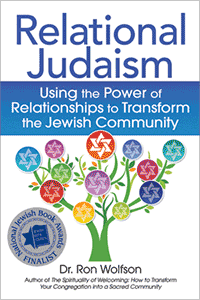 In Relational Judaism, I call for the transformation of synagogue engagement from “transactional” to “relational.” Here’s what a relational synagogue can offer its members and guests.